As the marine aquarium hobby grows so to do the hobbyists. They grow in numbers, but that isn’t what I mean. They grow in terms of their knowledge. Ideas and items that were difficult or “for experts only” a few years ago, are now commonplace. Corals alone were quite rare 20 years ago, but now having coral in a marine tank is not only common but considered the norm. Live rock and biological filtration has boomed over the last 10 years. 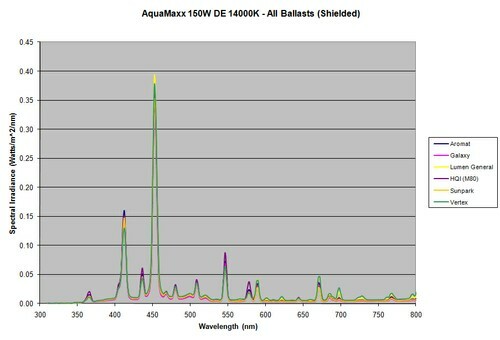 Lighting improvements have allowed for small nano reefs to contain the quantity and quality of light that wasn’t even found in the most elaborate tanks of 20 years ago. More than the physical improvements and differences of the marine hobby, the biggest growth has taken place in the minds. The average hobbyist now knows of nitrification and denitrification, calcium, alkalinity, water motion, nutrition, and the overall biological processes in their ecosystems. But enough about what has been, let’s look at what can be. 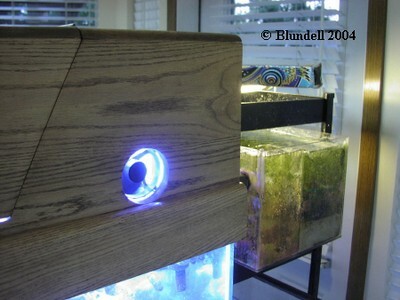 In a recent article published by the Conscientious Aquarist the author (Anthony Calfo) describes inexpensive means to creating a large pond style aquarium (Calfo 2004). While this type of project may be daunting to many, the idea behind it is well worth discussing. It is my challenge to the advanced hobbyists out there to do what Calfo did. I don’t mean build a pond, what I mean is do what you can. For some people this is fragging out of their tank, or building a separate frag tank, or donating corals for research purposes, raising shrimp, or a plethora of other things. What I propose for now, is that for all those obsessed reefers who continue to add tanks to their homes to create coral fragging tanks. Acquire Tanks. Keep in mind this may be even cheaper than Calfo’s described pond systems (in terms of total dollars spent). First start with the cheapest tanks you can find. I recommend the 50 gallon long and short aquariums. However, garage sale 10 gallon tanks work just fine. Often time’s hobbyists stay away from 10 gallon tanks because they are too tall for optimal fragging, but that isn’t true because you can just fill them half way. Build an area to hold those tanks. This is one of those things where your spouse just has to be willing to part with a storage room, craft room, guest bedroom, or even the master bedroom. It is important to design your stand, electrical, and water supply systems well before beginning construction. Third, build your fragging area. I’m not going to go into detail here, because I think the personal touch that goes into this is important. I enjoy seeing different set ups, and I enjoy seeing people create “their” system. I will just give my warning that your system will flood, bulbs will burn out, and things will take continuous maintenance… get over it. Fourth- grow what you can grow. For many hobbyists a fragging system needs to be on a tight budget. 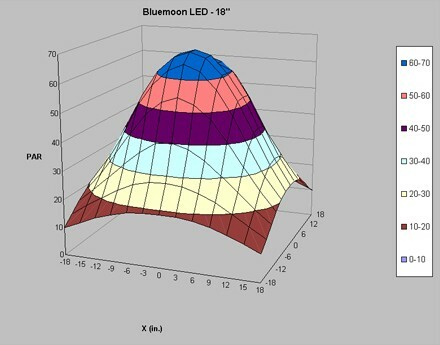 Therefore expensive lighting systems may not be an option. Expensive brood stock may not be an option. Therefore, I suggest growing what you can. For others, halide lighting systems, pumps, and tanks may be something lying around the house. For these individuals I suggest taking their fragging into a different direction. This same secondary side aquarium can be very beneficial to a display tank as it increases water volume and circulation. These aquariums are often homemade to fit a specific set up. 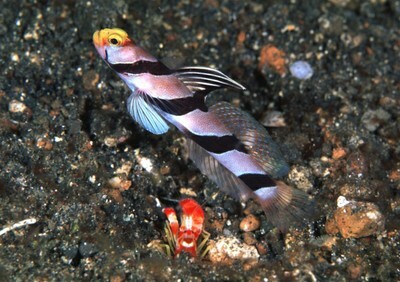 Some corals, sponges, tunicates, and other life forms are able to grow in secondary aquariums where they don’t face the predation of reef fishes. 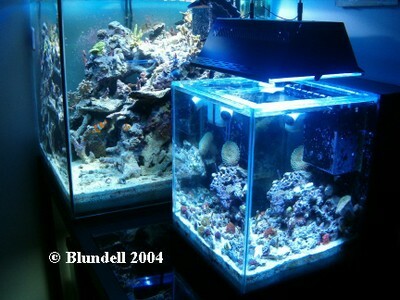 A secondary side aquarium can be attached behind a display tank. This allows for a coral grow out area, but remains out of site. Another option for coral propagation is to use a small aquarium, when an entire grow out system is not possible. 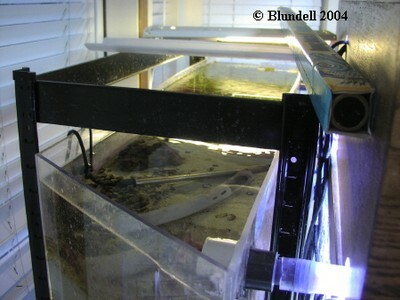 For these situations, an external aquarium or sump can often be used as a grow out location. These tanks are often connected to a main display tank, to allow for motion and volume enhancement. 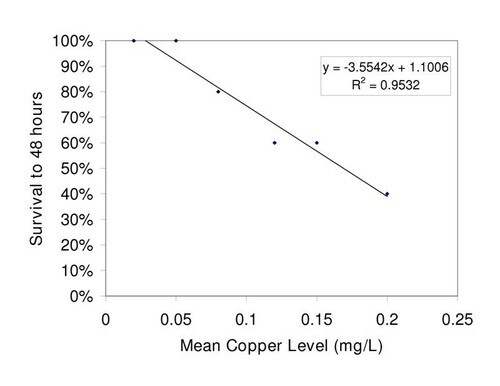 Fragging tanks do not need to be connected a main display tank, nor to other tank s in a system. However, if many small fragging tanks are being used, an interconnected system is recommended to ease the work needed for system stability. 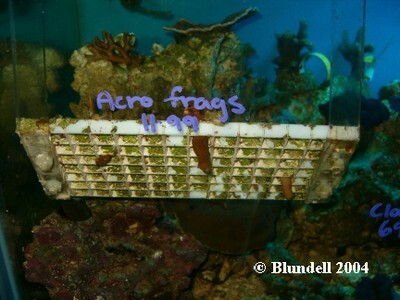 Fragging racks are simple shelves placed in aquariums to hold coral frags that are being grown. They allow for specific areas for frag growing, without the use of a separate tank. These items are commonly made of plastic house light diffusers (egg crate). Many hobbyists who use these racks enjoy the ability to show off their propagation systems, without having to set up extra aquariums and take up extra space. The third option I will suggest is for individuals who are unable to create separate grow out aquariums. For these individuals, in tank grow out is still an option. These set ups can be small rubble rocks with attached frags, rack systems holding frags, or even small baskets with coral frags. All of these options provide an area for coral fragments to grow, and to be easily removed later on. Some display aquariums are created by using dozens of coral frags to grow into large display aquariums. Here is another example of a display tank utilizing coral frags to grow into a showcase aquarium. There are lots of reasons why this will work. The most important being that it is already being done. In a recent list compiled by Eric Borneman (2004) approximately 100 places (difficult to know who is not on the list, and who on the list is no longer available) are currently selling coral frags on line. A better example of why this will work is seen on a smaller scale. Hobbyists around the world are now growing and trading frags as they become more and more successful with their culturing abilities. The math here is presented in the English system, for ease of the readers who I presume to be the primary audience. These figures and calculations will of course apply to the metric system. We begin this by starting with my favorite coral the Green Star Polyps. Green star polyps (GSP) are common in the aquarium trade and are grown and propagated by many. This coral grows rapidly outward from all of its exposed edges, but grows slowly in height. Therefore this coral is often measured in square inches, equating to the amount of reef rock covered by the coral. Suppose we have a 4 inch by 4 inch square shaped colony of green star polyps. This would be an average sized, or small sized colony commonly available in a local pet store. If we assume that the piece of coral will continue to grow in that square shape we can make measurements in terms of lateral growth. Let’s jump ahead in time now where every exposed side has grown 1 inch from the starting place. The amount of time required to generate that type of growth is irrelevant in terms of this hypothetical situation. A 4 inch by 4 inch piece of coral has 16 square inches of area. If each side of this coral grows outward one inch, then we would have a square 6 inches by 6 inches. The new coral would have a surface area of 36 square inches, which means it grew (36-16) 20 square inches of New Coral Growth (NCG). Now we will compare that to a fragged coral. We start with that same 4 inch by 4 inch coral, and we cut it into 16 pieces each 1 inch by 1 inch. If all of those cuttings are able to grow outward from each of their surfaces, we can multiply our total coral growth. If we allow each of those pieces to grow outward one inch (like in the previous example) we would now have 16 colonies of green stars each 3 inches by 3 inches. That is a surface area of 9 square inches per fragged colony for a total of 144 square inches. By subtracting the original 16 square inches we started with, we now have 128 square inches of NCG. In other words we have acquired 128 square inches of coral growth by fragging, which is over 6 times the amount of new coral growth we would have acquired by not fragging. Why This Will Not Work. There are some limitations to this hypothetical situation. The first is that we were assuming many unrealistic items of good fortune. Survivability of coral fragments is never 100%. Even though star polyp are “excellent candidates for propagation” (Calfo pg 286, 2001) they still have risks of infection when propagated. Another assumption was made when saying we could evenly divide out a coral colony without loosing any of the original tissue. While this may be the case, if in our example only half of the fragmented coral survived, we would still have over a 3 times increase in NCG compared to the non fragging scenario. The second set of limitations deals with the calculations involved. Assuming that each edge of coral (and only the outlying edge) is able to grow then we have a mathematical dilemma. It then stands to reason that the limit of coral growth would reach infinity as the limit of frag sizes approaches zero. In other words if instead of cutting that 4 inch by 4 inch colony into 16 pieces we cut it into 256 pieces each 1/4 inch square, then we would get even greater coral growth. In fact following out that example we would get 1,280 square inches of new coral growth which is 64 times more area than not fragging. If we cut that original colony into 1,024 pieces each 1/8 inch by 1/8 inch and grew them outward 1 inch on each side we would have 4,608 square inches of new growth, over 230 times the coral growth we would see by not fragging. The problem of course being that it is unrealistic (or at least improbable) to think we could frag a 4 inch by 4 inch colony of coral into 1,024 identicalpieces. There are many reasons to propagate corals. One reason often overlooked by hobbyists is for their personal benefit of gaining corals. Hobbyists often see corals in other tanks, and wish they too had that coral. If hobbyists were to commonly propagate what they do have, a massive sharing/trading trend would take place and all hobbyists would be able to acquire that which they don’t have. I’ve also seen many examples of “what goes around comes around” where hobbyists lost a coral to disease or temperature fluctuations or some sort of other coral killing event. These hobbyists were able to get their corals back because they had given away frags of their corals to friends who were happy to give them back. Most parent colonies of coral will do better once fragged. 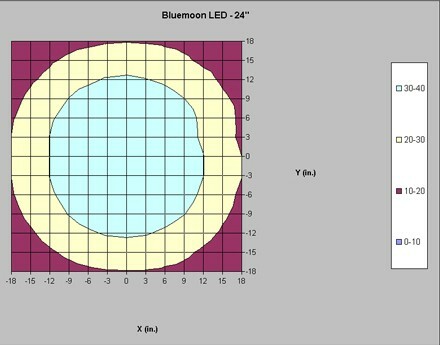 The fragging will prevent lighting loss and restricted water motion which can easily occur with larger corals. For this reason, many stony corals can do better as frags, than as colonies. An example of this is Blastomussa wellsi. This coral is described as having corallites 9-14mm in diameter (Veron 1986). Additionally this coral has been described as having corallites in the range of 10-13mm, (Borneman 2001), take notice this citation had a typo in the original publication which was confirmed by the author (Pehrson 2004). The polyps of such are also that diameter, as space is limited in these closely packed coral colonies. 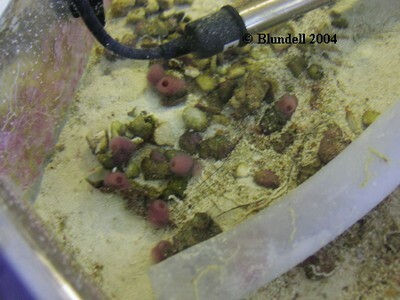 However, in an aquarium these corals can have corallites of 15mm or more (Sprung 1999). In addition to that, fragged specimens can have increased polyp size as they are not in limited in space, and therefore polyps’ size can reach over 17mm and close to 20mm (Author’s Personal Observation). The increasedpolyp size would theoretically lead to more sea surface area for photosynthesis. Additionally, the lack of “neighboring polyps” would allow for better prey capture, nutrient absorption, and water flow. First and foremost I would like to thank Anthony Calfo. His work and dedication to bring coral propagation to the forefront of the hobby is unparalleled. Calfo’s creation of the “Book of Coral Propagation” is evidence of his desire to see mariculture flourish. I would also like to thank the many aquarists world wide who are currently propagating corals, and sharing their knowledge with all. Adam Blundell M.S. works in Marine Ecology, and in Pathology for the University of Utah. While not in the lab he is the president of one of the Nation’s largest hobbyist clubs, the Wasatch Marine Aquarium Society (www.utahreefs.com). He is also Director of The Aquatic & Terrestrial Research Team, a group which utilizes research projects to bring together hobbyists and scientists. His vision is to see this type of collaboration lead to further advancements in aquarium husbandry. Adam has earned a BS in Marine Biology and an MS in the Natural Resource and Health fields. Feedback is welcomed at adamblundell@hotmail.com. Borneman, E., (2001), Aquarium Corals: Selection Husbandry, and Natural History, TFH Publications, Neptune NJ, March 2001. Borneman, E., (2004), Coral Culture for Disease Research and Restoration, International Marine Aquarium Conference presentation, Chicago IL, June 6th 2004. Calfo, A., (2001), Book of Coral Propagation, Reading Trees Publication, Monroe PA, 2001-2003. Calfo, A., (2004). Do it Yourself Indoor Pond, Conscientious Aquarist, V1:1, USA, 2004. Pehrson, J., (2004) Internet posting discussion clarifying a misprint in Aquarium Corals (Borneman 2001). http://www.reefcentral.com/forums/showthread.php?s=&postid=2378067 Reef Central, February 4th, 2004. Sprung, J., (1999) Corals A Quick Reference Guide, Ricordea Publishing, Miami FL, September 1999. Veron, J.E.N., (1986), Corals of Australia and the Indo-Pacific, The Australian Institute of Marine Science. Angus & Robertson, North Ryde, NSW, Australia.